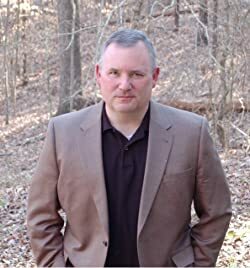 Scott Hawkins grew up in South Carolina and graduated from the University of South Carolina with a B.S.C.S. in computer science in 1991 and an M.S. in 1993. Since then he has worked a variety of computer jobs, usually having something to do with Unix / Linux, though there have been occasional forays into Windows development. He lives in the Atlanta suburbs with his wife and a lot of dogs. For fun he reads audiobooks and watches movies. He also enjoys cooking and woodwork. The Library at Mount Char is his first published fiction. CLICK HERE FOR MORE TITLES (MOSTLY COMPUTER BOOKS) BY SCOTT HAWKINS. Today Scott Hawkins stops by Fantasy Literature to talk shop. We discuss writing, language, literary influences, and summer cocktails. 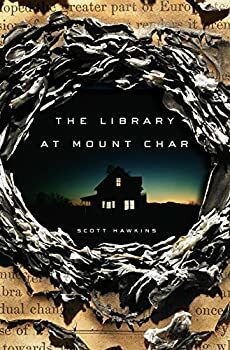 One lucky U.S.-based commenter will win a copy of Hawkins’ debut novel, The Library at Mount Char, which I absolutely loved. Jana Nyman: What drew you from computer sciences to writing fiction?